The lettings industry is going through a period of immense change, and agents will need a new set of rules to survive and thrive. The lettings industry is going through a period of immense change. With competition increasing for a smaller pool of landlords and the tenant fee ban poised to put pressure on existing business models, agents will need a new set of rules to survive and thrive - a ten commandments for a post-fee ban world, if you will. Many agents have considered discounting, or have discounted, their management fees by one to four per cent in the face of local competition and the desire to win new instructions at any cost. But with up to 20% of agents’ revenue set to be eroded by the tenant fee ban, maintaining published fees without discounting will be imperative. Agents need to find ways to increase the value they provide to justify charging their full fees. Many of our clients are getting their full, published management fee for the first time in years by thinking creatively about their proposition. Contact us to find out how you could, too. Referencing is going to be disrupted. Agents won’t be able to charge referencing to tenants and most will look to remove this cost altogether. Tenants will become responsible for ensuring they have a valid, up-to-date reference, and when they don’t, this will slow deal times and agents will waste more time chasing them up. Therefore, qualifying tenants before viewings will be more important than ever - and will help agents make more deals with less viewings. Regulation is shifting the balance of power towards the tenant. We predict tenants will become increasingly vocal about their experiences with agents - both online and in their communities. This could reduce the number of quality tenants applying to certain agents and effect how landlords choose agents to manage their property. Loving tenants not only means treating them fairly, but providing a lettings experience that meets the expectations of tech-savvy Generation Rent. Online agents will continue to increase their market share, putting more pressure on High Street agents. High Street agents must provide what online agents can’t - exceptional customer service - in order to thrive. This doesn’t just mean having the best local knowledge or being the friendliest agent in your area - customer service should be a core business value and guide the decisions you make every day. Check out how Ferndown Estates took their customer service to the next level by advising a landlord accordingly and acting in their best interests - and reaped the rewards. Agencies must find new revenue streams to counteract the Tenant Fee Ban. The revenue agents make from insurance or utility and media switching is determined by the take up of landlords and tenants, so agents need to find new, frictionless ways to offer the best products and services to their clients to increase conversion rates. Unfortunately, GDPR has increased the friction, but platforms that digitise the lettings process can provide tenants a GDPR-friendly journey while providing agents with a shop front to offer additional products that can be purchased with the click of a button, increasing conversion rates and revenue. Embrace technology that frees up your staff to spend more time focusing on your customers. Margins are going to be tighter and staff need to add more value to your business than they are today. Negotiators will need to spend more time finding new business or holding viewings and administrators will need to process more tenancies in less time. Platforms like Goodlord can automate much of the lettings process, reducing the time your staff spend on processing tenancies by up to 70% per let. Agents trying to grow their portfolios will face increased competition from online, DIY alternatives. It won’t be enough to rely on word of mouth and brand awareness - you’ll need to spend more time marketing your business. Creating content that provides insights and best practices for landlords will become an important way to build credibility and position your agency as a local expert, making landlords more likely to pay the full price for your services. Staff retention is often a problem for agencies, but agencies who want to thrive will need to do a better job of retaining and motivating their most valuable asset. Not only does it cost a huge amount to replace staff, attrition can impact customer service, too. Well-tenured and motivated staff are great ambassadors for your agency: their knowledge and passion is recognised by tenants and landlords alike, plus engaged staff are more successful and productive. Read our top tips for retaining and motivating your negotiators. Property portals are becoming an increasingly expensive cost. Social media channels such as Facebook and Twitter are going to become a more important part of the marketing mix. Social media isn’t just about building brand awareness; it’s invaluable for advertising, letting you create highly targeted property adverts focused on specific demographics in a specific area, while also reducing advertising costs. Agents could be spending much less - or nothing! - on portals and instead using social media to drive interest in their properties. Find out how Goodlord used Twitter to grow the mailing list for its blog. Landlords care most about protecting their investment and getting a reasonable yield on their property. Bad tenants, void periods, rental arrears and legal bills associated with eviction can lead to losses and landlords look to agents to help protect against this. 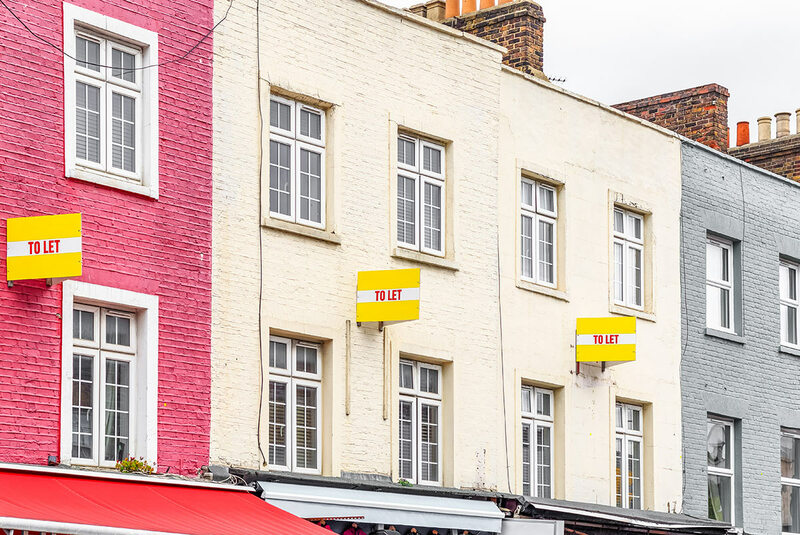 Not only do agents need to be finding the best tenants and ensuring they’re effectively referenced, they also need to help landlords protect their investments. Even the reference won’t detect a redundancy around the corner and agents need to help landlords plan for all eventualities. Goodlord provides one single online platform to streamline the lettings process for agents, landlords and tenants. By digitising tenancy creation and progression, Goodlord cuts pointless, time-consuming administration for agents while transforming the tenant and landlord experience so its more in line with the expectations of Generation Rent. Book a demo here. 10 years in leadership positions within fast growth software companies. Leicester City fan (life long, not bandwagon jumper). Father of 2 crazy boys. Husband of amazing woman who does the ‘real work’.